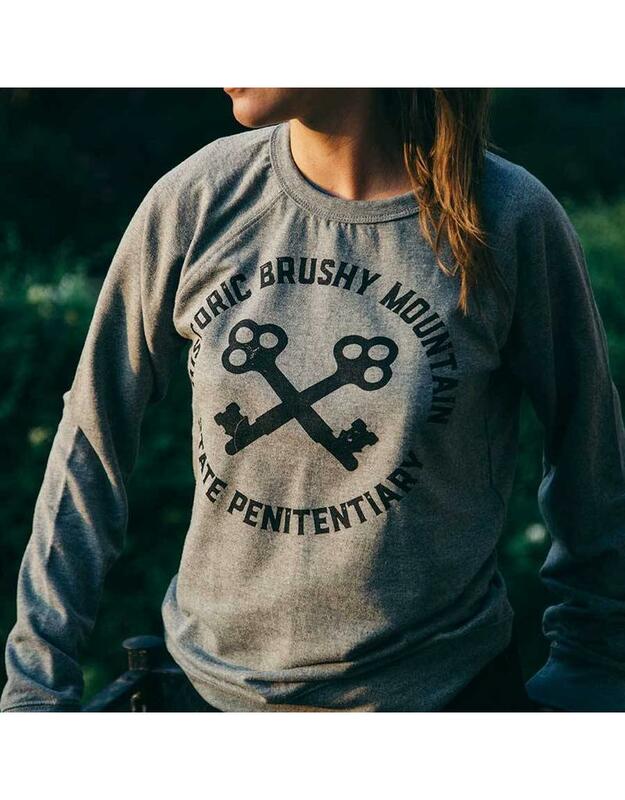 With the Brushy Keys logo proudly displayed on this lightweight crewneck sweatshirt, it's the perfect weight to knock off the chill on a cool fall day. 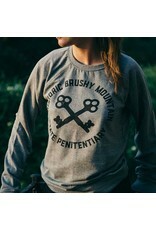 The Historic Brushy shield logo and a pint glass mean a cold beverage isn't far away. 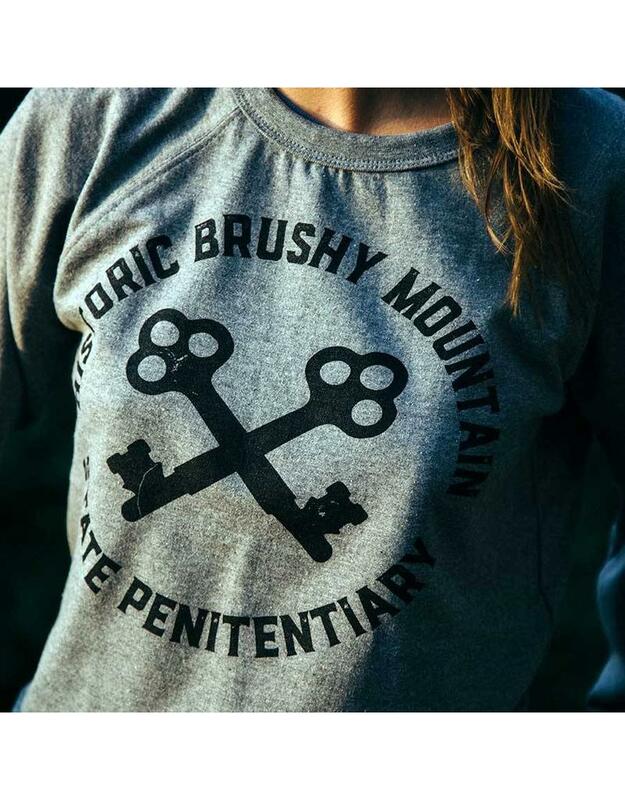 This Brushy Mountain keychain is perfect for keys (obviously), but better yet, it'll open your beverage as well. 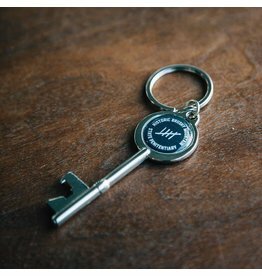 What a keychain and it even carries the Countdown logo. 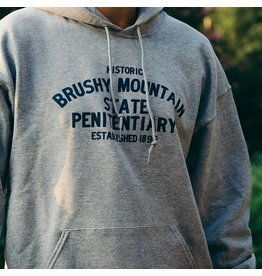 Hoodies are always in style and this hoodie says even a 100+ year-old prison is cool. These heavy weight hoodies are great for those chilly fall football weekends. 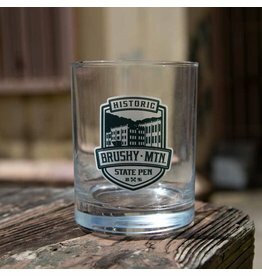 The Brushy rocks glass. Perfect for a little End of the Line Moonshine with your friends. 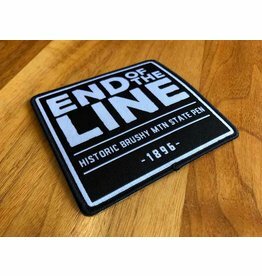 This large End of the Line patch is perfect for your jacket, backpack or whatever have 4" x 3.75" of space available. 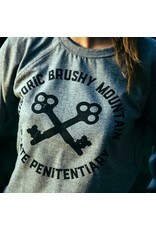 It's not just the name of our Moonshine, it's the nickname for this cruel and lonesome place.